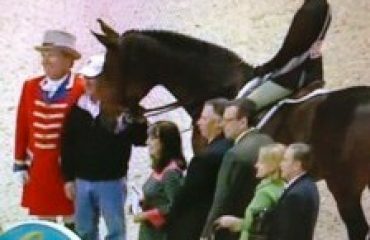 Jennifer O’Neill began her modeling and acting career when she was 15 years old with one goal: to buy a horse. She had success not only in her vocation, but with her equestrian goals. Jennifer became internationally recognized for her appearances on-screen, co-starring with John Wayne in her first film, as well as being a Cover Girl model and spokesperson for over 30 years. 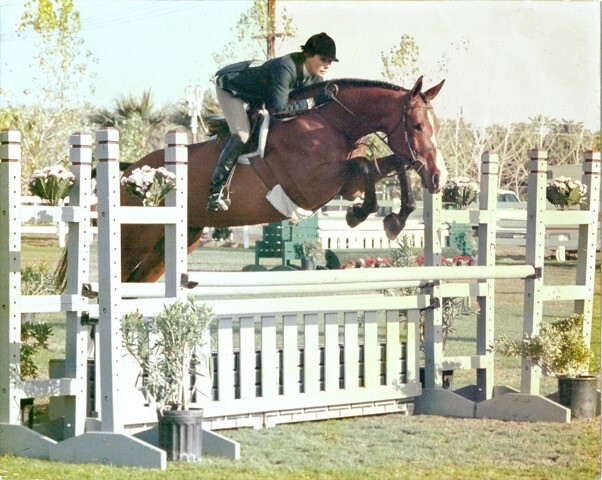 By 17, she was at the top of the junior circuit, competing in hunters and equitation at places like Ox Ridge and Fairfield Hunt Club, and she spent 35 years breeding her own horses. 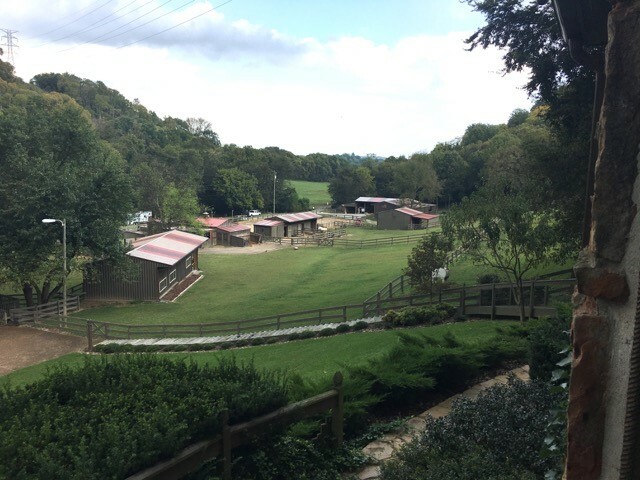 Now, over 50 years later, she’s settled down on a farm in Nashville, Tennessee, where she not only continues to enjoy horses, but where she shares the ‘therapeutic wonder of horses’ with anyone who needs it. Jennifer made Hillenglade her home in 2009 and began welcoming mothers and their troubled teenage daughters to her farm for some time away in the country. Shortly after, an organization asked if she would be willing to host a weekend with the caretakers of PTSD warriors. Jennifer agreed, and it changed the tide of the program. The struggles of returned war veterans and their families were familiar to Jennifer: During World War II, Jennifer’s father was shot down on his second-to-last mission out of London and spent 2 ½ years in a German prison camp. In addition, Jennifer was married to a Vietnam Marine veteran who is 100 percent disabled with PTSD. She knew first-hand of the hardships and trickle-down effect that war can have in a family. In 2010, Hope & Healing at Hillenglade (HHH) began to focus on the needs of military members, veterans and families. 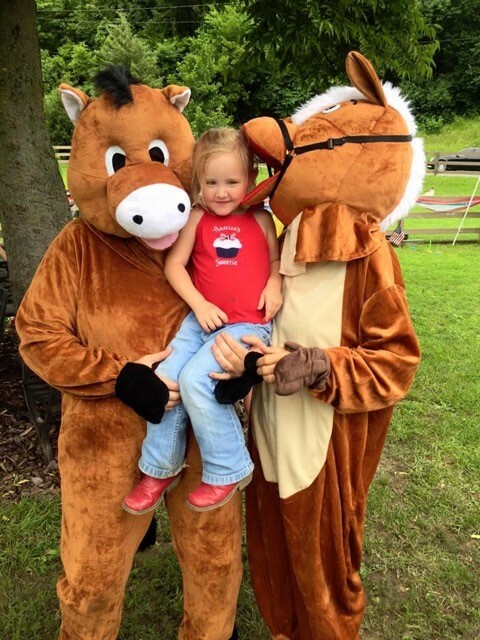 Since then, over 3,500 people have experienced the hope and healing that horses have to offer at Hillenglade. Hillenglade’s programs are all completely free, from the deep healing sessions to the many celebrations with games, free food and animal interactions for entire families. Hillenglade is home not only to horses, including Handsome, the last that Jennifer bred, but to donkeys and ponies as well. 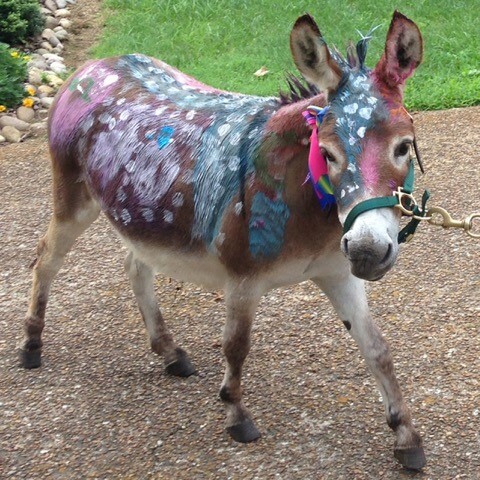 Two miniature donkeys, or ‘Donkeyettes’ as Jennifer calls them, are painted by children during celebrations — which the donkeyettes love, of course, both for the sake of the attention and the animal crackers. The programs at Hillenglade seem to stem from Jennifer’s own life experiences, such as her time on the show circuit: Jennifer envisions bringing warriors two at a time to stay at Hillenglade for up to three months to not only experience the healing they need, but to be trained and leave the farm with the vocation of being top-notch professional grooms, who are so sought-after in the show world. The HHH mess hall, retreat areas and offices are being expanded to accommodate such a program with help from a generous USA Equestrian Trust grant. 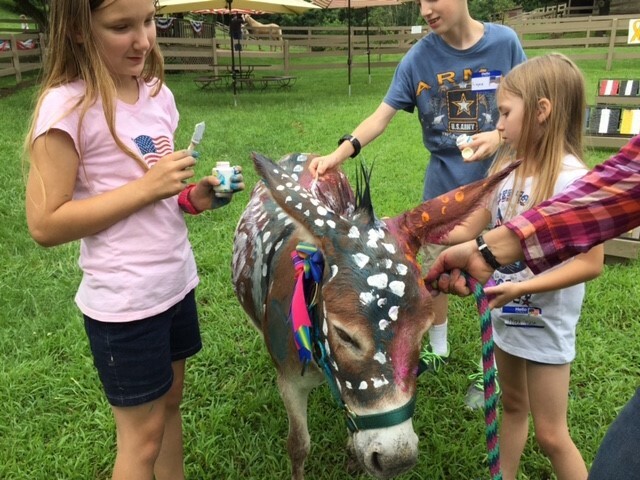 Since all of the celebration events and other therapeutic programs are totally free, HHH relies on donations, corporate sponsorships and grants to continue operating and to expand. 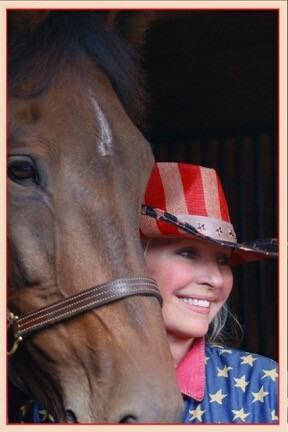 Recently, Kathy Lee Gifford from “The Today Show” donated the funds to cover Hillenglade’s round pen, which will allow them to provide deep healing year-round, but Jennifer is the first to note that every donation to the HHH tax-exempt 501(c)3 is appreciated — including the not-unprecedented $5 from a child’s own piggy bank. Jennifer rode and showed horses as a junior. 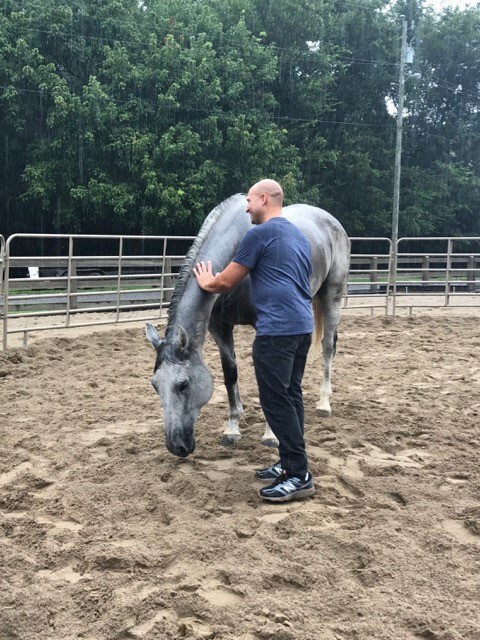 A rainy day couldn’t stop this warrior from spending time with a horse. Care of the horses boarded at Hillenglade, on an “A” barn level, is tailored to each specific horse’s needs, from workload to turnout to grooming and interaction. Some horses retire to Hillenglade for a lifetime — others need only a short respite in the country to calm down and put on some needed weight, like a Dutch Warmblood jumper who retired to Hillenglade as a ‘firecracker’ and left several months later quiet as could be. For more information, visit hillenglade.org or follow Hope and Healing at Hillenglade (HHH) on Facebook. 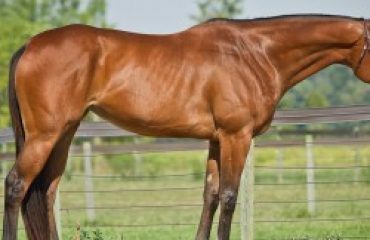 Lavish Freud – Available For Adoption!